Six of our huge Thunder Muffins brimming with blueberries - more blueberries per muffin than you'll find anywhere! - sprinkled with a cinnamon-sugar topping. These are a true taste of goodness, baked fresh on the farm and shipped in a reusable muffin baking tin. Just warm and enjoy, or freeze and save for a special occasion. A true blueberry-lover's delight! 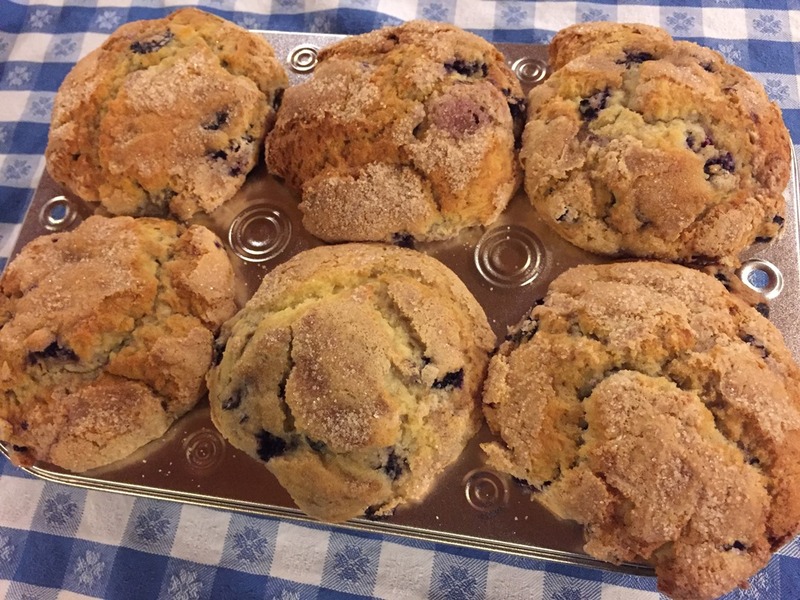 For the Blueberry Lover - 3 Syrups, Jam, Blazons and 6 Thunder Muffins!